Studying Russian changed my life in more ways than I ever could have predicted. It transported me to an international career path and opened doors I’d never envisioned. After graduation, I moved to Prague to teach English— a transition that was made much easier with my familiarity of Slavic languages. I quickly moved into a position representing an international media company, which required about 50% travel and allowed me to use my Russian skills in meetings with many monolingual journalists and editors in the Russian-speaking world. I returned to the United States three years later and during grad school, I interned on the Kosovo desk at the State Department. Again my familiarity with the the region and Slavic languages was hugely helpful. I entered the Foreign Service in 2011 and have so far served in our embassies in Uganda and Colombia. Having studied Russian made learning Spanish seem easy; I sailed through the intensive six-month course before departing for my assignment in Bogota. I currently work at the State Department headquarters in Washington, where I coordinate public diplomacy programs for Ukraine, Moldova and Belarus. Once again, my knowledge of the region and familiarity with the language has been critical in my understanding of the core issues and the subtleties I might otherwise have missed. This summer, I begin 10 months of intensive Serbo-Croatian language training in preparation of my next assignment at our embassy in Croatia. I am confident my Russian foundation will make the process less intimidating, more enjoyable, and more rewarding. I’m happy to talk to any Russian-language students interested in the Foreign Service! I graduated from CU in 2007 with a double major in International Affairs and Russian Studies. Since then, I have spent time in Russia, moved to Japan, published a novel, and earned an MA from the University of Manchester. I now live in Tokyo, and teach English at the College of Business and Communication. I also continue to write. My time studying in the Russian department at CU stoked my interest in language acquisition and intercultural communication, and also introduced me to some of the leading lights in Russian literature, such as Bulgakov and Pelevin, who proved to be big influences on my own writing. It was a joy to learn from the close and tight-knit faculty, whose humor, kindness, erudition, and love of the subjects they taught continue to inspire me, not just as a teacher and writer, but as a person. When I choose to major in Russian Studies I didn't really know what that meant. For me it was trying to connect with the part of my family that had emigrated several generations before and the vague dream that I could eventually become a spy for the CIA. I still remember trying to find my way in to the back room of McKenna for my first Russian Language class and before we could even sit down the instructor led us out into the yard and had us for a big circle and yell "Здравствуйте!" I don't think Russian language ever got easier for me after that day, but I persisted in my attempts to learn it because I fell in love with the culture and history of Russia, brought to life by my instructors and classmates. Although my language skills were never perfect, I still like to think that I could survive in Siberia if I had to, even now 10+ years later. After graduating from CU, I went into teaching where my BA in Russian Studies gave me enough credits to qualify as both a social studies and English teacher. After teaching in Aurora for several years I got the itch to travel again that I first got on my summer abroad in St. Petersburg. Now for the last 6+ years I have been teaching world history at an international boarding school in Switzerland. One of the reasons that I was able to get the job was that they were impressed by my internationalism and specifically my knowledge of Russian language and culture since many international students come from Russian speaking families. Although all the classes are taught in English we encourage our students to think in and develop their mother tongue languages, so speaking Russian allows me to follow student conversations and make sure they are on task. It also has the added benefit that students know that I understand the challenges that they are going through, learning and using a second (or third) language. Knowing Russian/Soviet history allows me to develop strong bonds with these students that help them become better learners. Although I am still waiting to be recruited by the CIA, I am very happy to be living and working in Switzerland right now and that wouldn't have been possible with the Russian and Slavic Studies program at CU-Boulder. Dan Eskin (graduated in 2008), teacher of English as a second language Northeastern University (Boston, MA). I graduated from CU in 2008 with a minor in Russian Studies and currently teach English as a Second Language for prospective international students at I really enjoyed both my language and literature courses in CU's Russian program. I was always impressed with the ways in which my Russian instructors managed to develop creative lessons designed for learning communicative skills. 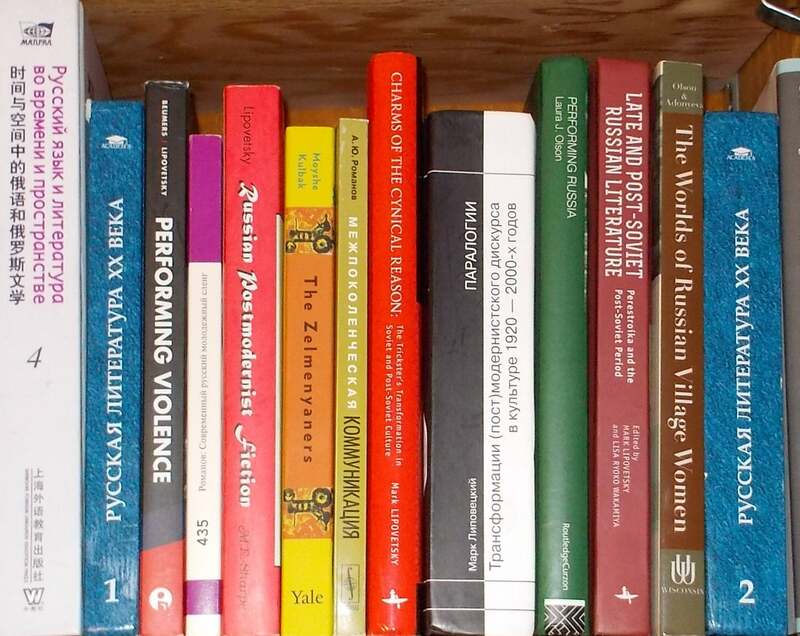 Likewise, the literature courses I took provided me with a much stronger historical and cultural understanding of 19th and 20th century Russia and my first experience with reading and discussing literary criticism. The Russian Studies program at the University of Colorado at Boulder exposed me to a diverse group of students and professors that found common ground in their appreciation for Russian culture, language and history. The instructors and professors challenged me to continue to expand my knowledge while the diverse student base exposed me to unique viewpoints and backgrounds. I grew tremendously, personally and professionally, through the Russian Studies program. I think often of my Russian professors and am so grateful that I went through the program! I still have many friends from the program that I have stayed in touch with. The Russian Studies program has been astronomical in helping me learn more about the country and region as well as developing working Russian language skills. Upon graduation I was able to secure a stable position within the federal government by working and living abroad throughout Russia and Eastern Europe. Although I do not use Russian language currently, the skills and knowledge that I have been able to gain from the Russian Studies program have been invaluable. Alexandria Farris (graduated in 2011), Currently pursuing an MA in International Peace and Conflict Resolution at American University, Washington, D.C. The degree I received in Russian studies has been a vital part of my post-graduation life. The professors in the Russian department at CU helped prepare me to live in St. Petersburg and Moscow, where I studied and worked for three years. Knowledge of the language is crucial in order to develop a deeper understanding of the culture and connect with people. I have used Russian for my work and personal relationships. As an added bonus, Russian has helped me to acquire other Slavic languages with little difficulty. My Russian degree from CU has given me a high level of confidence in my abilities, as well as a unique perspective and regional knowledge that I have been able to transfer to my current degree program in international relations. My degree in Russian Studies from CU Boulder gave me the confidence to pursue graduate education abroad and immerse myself in the language. The GSLL courses I took formed a bedrock for understanding Russian not only linguistically, but also culturally. That understanding was key to making a life for myself in Saint Petersburg and meeting people I'll never forget. In 2015, I graduated from CU Boulder with a degree in International Relations and a minor in Russian Studies. Intending to pursue an eventual career in electoral politics or diplomacy, I proceeded to an MA program in International Relations and European Studies at Central European University in Budapest, Hungary. I doubt that I would have selected that particular location, or been well prepared to live and study there, without my knowledge of the ex-Warsaw Pact region. There, I completed my thesis under the supervision of Peter Balazs, previously the foreign minister and first EU commissioner for Hungary, who oversaw the country’s accession to the Union. My thesis was a comparative analysis of the accession process of Cyprus and Moldova’s trajectory towards further integration with the EU. After graduating from CEU, I moved to Stockholm with my boyfriend, who studies Arabic translation at Stockholm University. Even before finishing my studies at CEU in 2016, I had become somewhat disenchanted with politics, and global events since that time have only made me more reluctant to start a career in diplomacy. Now, I am pursuing a career as a graphic designer, having gotten certified in both graphic and web design online. My knowledge of Russian actually had an unexpected role in my development as a graphic designer because of its help in my befriending a Russian-Irish designer in Sweden who has helped me get started in the field. I also use my Russian language skills to keep in touch with numerous friends in Russia and Central Asia, and talk to Russian speaking students I encounter in my current role as an online English Teacher for Education First. Ben Lourie (graduated in 2016), director of PR and marketing at Smile To The Future (Colorado). The decision to get a degree in Russian studies has been one of the best decisions I have ever made. My degree helped me get a Fulbright grant to spend a year in Russia and to pass the C1 level test of Russian as a foreign language, which confirms my near-native fluency in Russian. I currently work at a non-profit in the Netherlands called Smile To The Future as director of PR and marketing. I have had a chance to travel to many different places, but I have to say that Russia is the most culturally rich and exciting place I have visited, and anyone else who has been there will likely tell you the same. Understanding Russian culture and speaking Russian are two skills that have not only helped me professionally, but also have helped me to make close friends and have given me a broader world view. The Russian Studies program at CU Boulder opened my eyes to the beautiful culture, people, and language of Russia. Now more than ever, a knowledge of Russian is vital to global affairs and security, and I feel more than prepared to tackle the challenges that face us moving forward. Russian Studies at CU is anchored by the best instructors in the nation with diverse knowledge and experiences, and a steadfast dedication to preparing the future diplomats, historians, and professionals of the world. Joining the Russian Studies program was one of the best decisions I’ve ever made, giving me the tools necessary to make a real difference. As an intelligence officer in the United States military, a dramatic focus is placed on knowledge of current affairs and our nation’s role in the international sphere. Our focus is on using information gathered from differing sources to ensure the safety and security of American interests, military and otherwise, in every corner of the world. Given the nature of this work, studying Russian has afforded me both a broad and deep understanding of one of the world's most powerful nations that can be used almost daily in the course of regular duties, whether it be from reading news from a variety of international sources to more nuanced understanding of political sentiments in another region of the globe (studying abroad is a huge help! ).